Stock Number: S1011C, Price: $ 125.00. 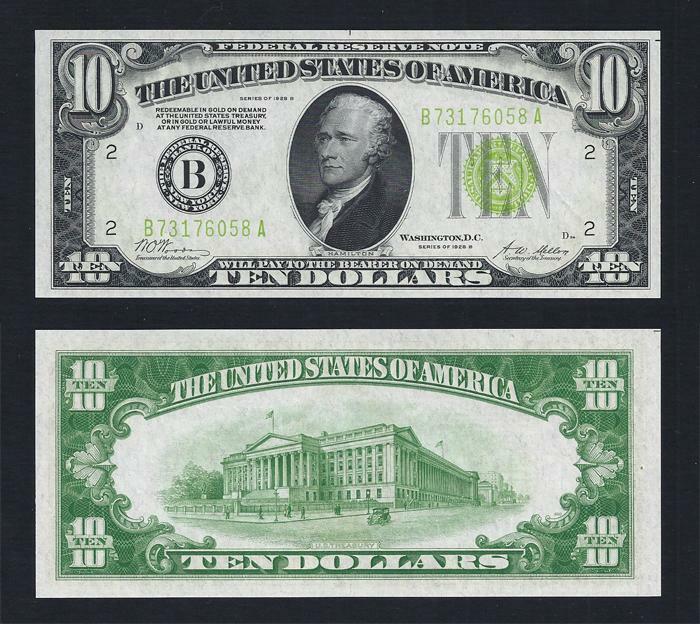 $10.00, FRN, Series of 1928B, Light Green Seal, Fr. # 2002-B, Serial Number B73176058A. GEM UNCIRCULATED. Bright "white-type" paper on this Light Green Seal note from the New York district that has traces of serial number embossing.